White Hill, or perhaps better known as Hasty Bank, although I think that name actually refers to the Bilsdale side. Anyway the site of the 1872 landslip which wiped out the old Stokesley to Bilsdale road. I won’t repeat the history here, just refer you to my earlier post. 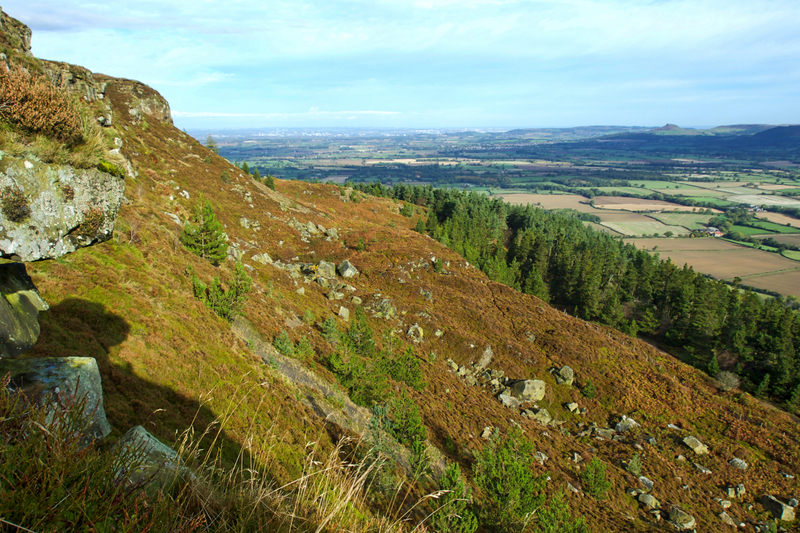 Looking down on the Cleveland plain with Roseberry Topping just a pimple on far right.